The Tamborine Rainforest Skywalk BeaconNear Proximity project is now live! 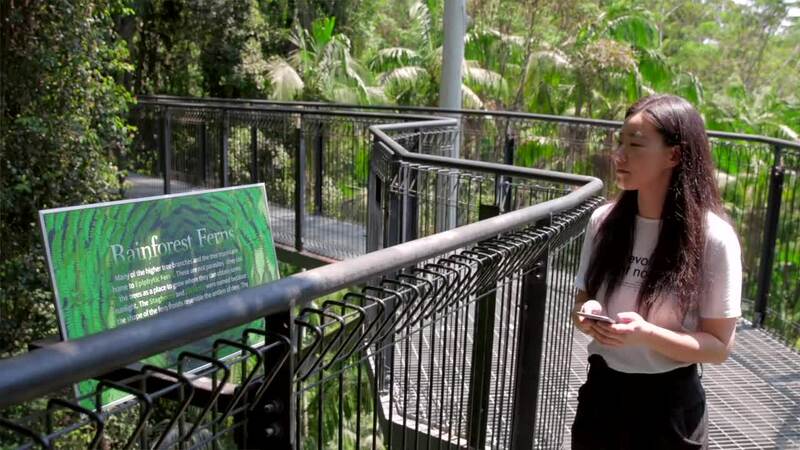 Tamborine Rainforest Skywalk offers guests a unique and thrilling way to explore the beautiful rainforest canopies. Information can be found at certain spots in the rainforest, for guests to get more details. But one issue is trying to convey this information to tourists who may not have a good grasp of the English language. BlueSky partnered with Epicuest to develop for Skywalk - a solution which involved the use of Beacon Technology with both Andoid and iOS mobile apps, to translate the information to guests, in their preferred language. Contact us if you would like to have a chat with our team, to discuss how beacons can help your business. Join us for here on the blog where we share our thoughts, ideas and conversations. Our new company shirts have arrived, and we have two of ..
Work at BlueSky can sometimes be fun, like our most recent ..
A behind the scenes look at the challenges we faced when ..
BlueSky is proud to announce their sponsorship of Subiaco .. When you're developing a new idea for an app, system or ..
With the arrival of smart phones, the average person has ..